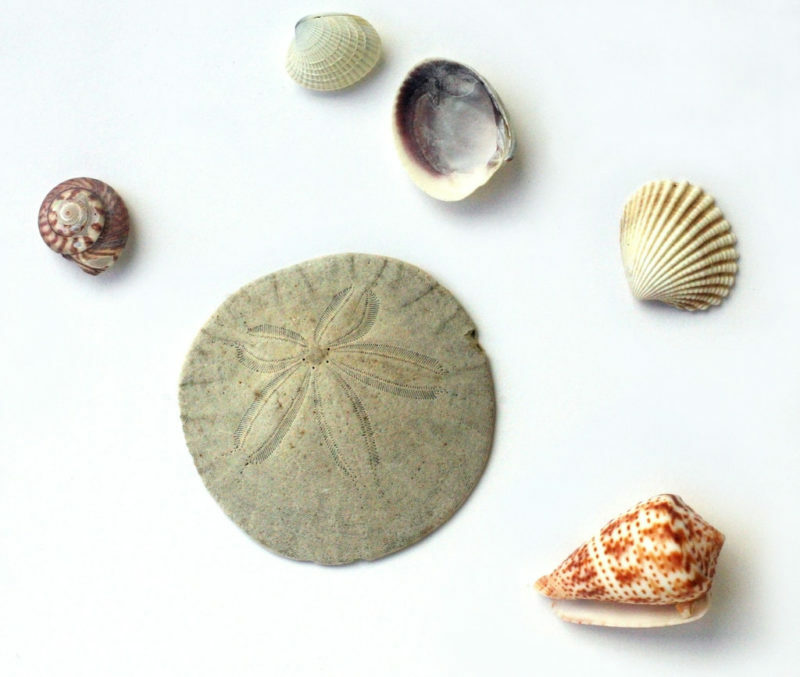 In the writing of Annie Dillard, Mother Earth is an almighty force and rather a quirky lady. In books like Pilgrim at Tinker Creek and Teaching a Stone to Talk, Dillard takes her readers into the natural world, describing its divinity and fascination, as well as its often bizarre cruelty. She also reveals her sense of bewilderment and wide-eyed wonder in a transcendentalist manner all her own. Sea lions playing on the lava boulders of the Galápagos islands. 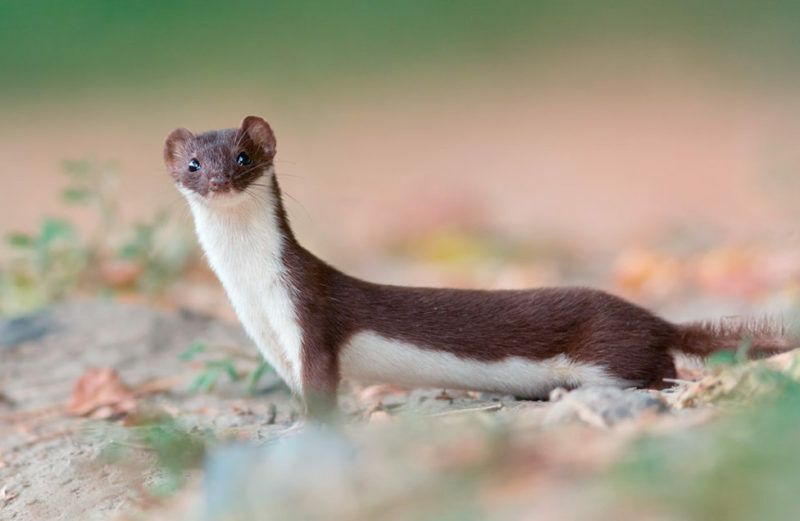 Connecting with the mind of a weasel. Baby frogs being sucked out from the inside by wicked water bugs. The history of sand. 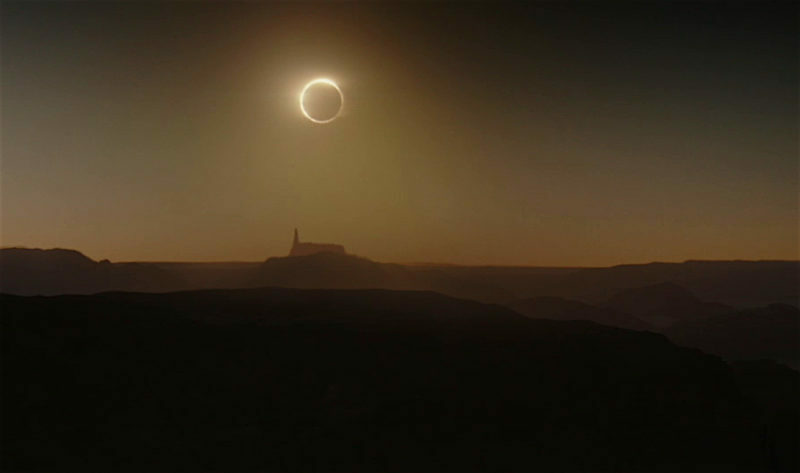 The racing shadow of an awe-inspiring solar eclipse. Going to Disneyland with Allen Ginsberg and Chinese writers. Coaxing a smooth, round stone into communication. Setting out from these topical areas, it is easy to guess who the writer in question would be, if this was a quiz: of course, we are talking about Annie Dillard, national (and natural) treasure of the USA. 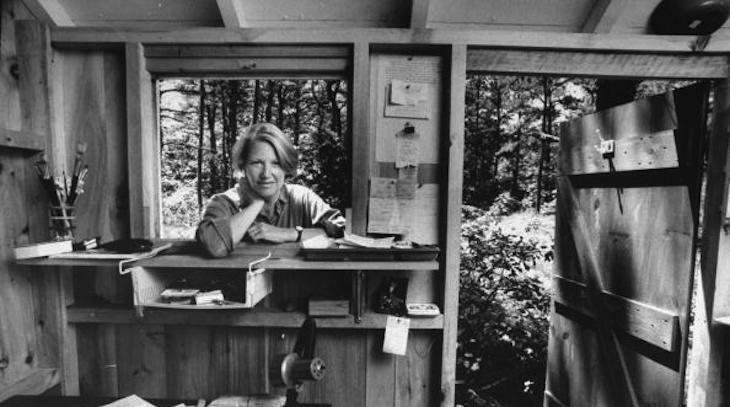 Hardly any other female nature writer has had such an impact on the American literary scene as Annie Dillard, with the possible exception of her sister in spirit, Gretel Ehrlich. In comparison to Ehrlich, who has had a few flashing encounters with the bare forces of the elements, as she was struck by lightning twice and lived to tell the tale, Dillard was almost spoiled by destiny. Yet she keeps a sharp, ruthless eye on the abundant forces of creation, and inspects in great detail, the free gifts of the universe. 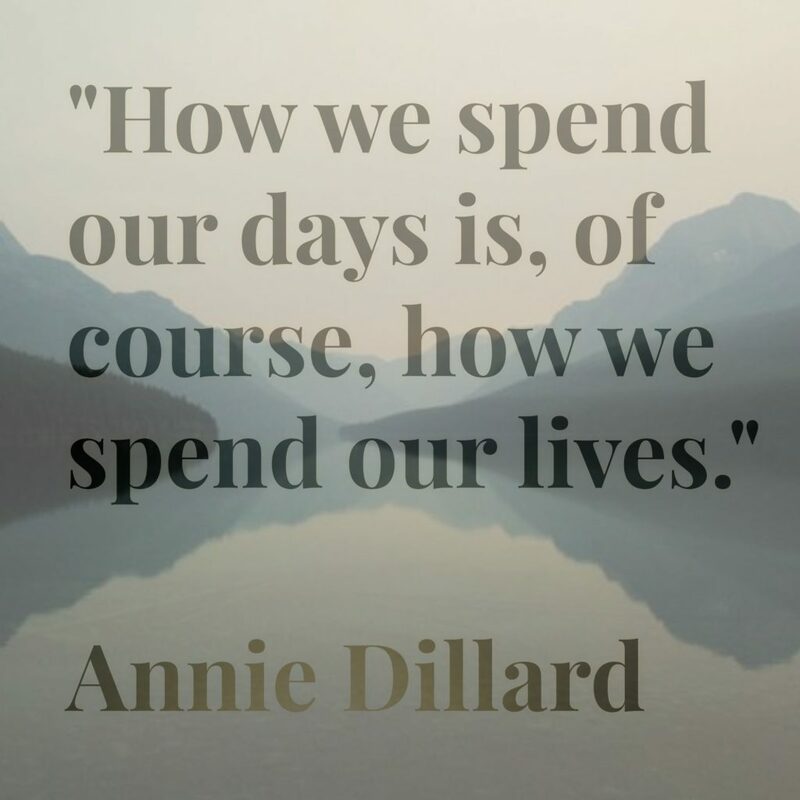 Born to a well-off family in Pittsburgh, just after World War II, Annie Dillard was of the first generation of women, who were free to choose her own vessel to float down the river of life. From an early age, as she writes in An American Childhood (1987), she was gifted with an independent, curious spirit: “My mother had given me the freedom of the streets as soon as I could say our telephone number.” Also from an early age, she was fascinated by the floating element; ponds, lakes, streams, beaches and creeks feature greatly in her books. We can imagine the girlish Annie bogged down over a puddle, stunned into stillness and concentration, trying to save an oscillating green bug from its murk with a stick to bring it home, and in a way, this sort of endeavour, digging in the dirt for small shells and small shocks, has become her occupation and her claim to fame ever after. Initially religious, she quit attending the Presbyterian church as a teenager “for its hypocrisy” and later marvelled about Christian doctrines, some of which she would go on to describe as “absurd”. However, she remained socially engaged, took part throughout her college years, in the Anti-Poverty program and learned about Judaism, Islam, Buddhism and Inuit religions. In the late ‘80s, she even turned towards Roman Catholicism for a while, only to “stay near Christianity” after this spiritual fling – mainly for her reverence towards the noble-minded French priest and writer Pierre Teilhard de Chardin. Why am I mentioning religion? Because the unfathomable complexity of creation seems to me at the core of Annie Dillard’s books. She is a soul searcher, a pilgrim in the natural world. She wants contact with the divine. She needs explanations. Who doesn’t? But rare are those among us who retreat to a house in the wilderness to keep the senses heightened with coffee and to venture daily to find microscopic and macroscopic miracles on the banks of a stream somewhere in the Blue Ridge Mountains of Virginia. 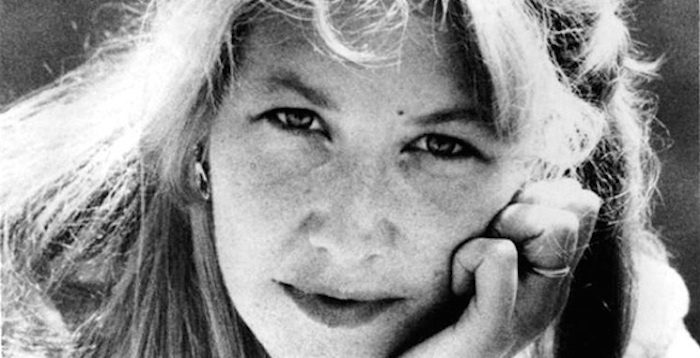 In 1974, Annie Dillard did just that, following in the footsteps of Henry David Thoreau (the subject of her master’s thesis), and writing about it. In 1975, at barely thirty, she won the Pulitzer Prize in the Non-Fiction category for Pilgrim at Tinker Creek. Just this one opening paragraph says so much about Annie Dillard’s work. Describing a scene as mundane as it is nightmarishly demonic and subliminally sexual as a Fuseli painting, she employs a language that is unembellished in a carefree way, almost colloquial. You’d bet she is fun to hang out with, as you would imagine Jennifer Lawrence to be fun to hang out with. She also uses the anatomical “skull”, not the more familiar “head” and she brings together two images tightly connected with the female: Blood and Roses. The messenger of these images though is a tomcat – a mercury of nocturnal wilderness, an envoy of lust and carnage. He doesn’t know what it is he is delivering from the outside, he holds no remorse, no bad conscience concerning his wild mating or the doom he brought upon mice or birds. Welcome to a day in the life of Annie Dillard. Take that, you wisdom-wallpaper lovers! 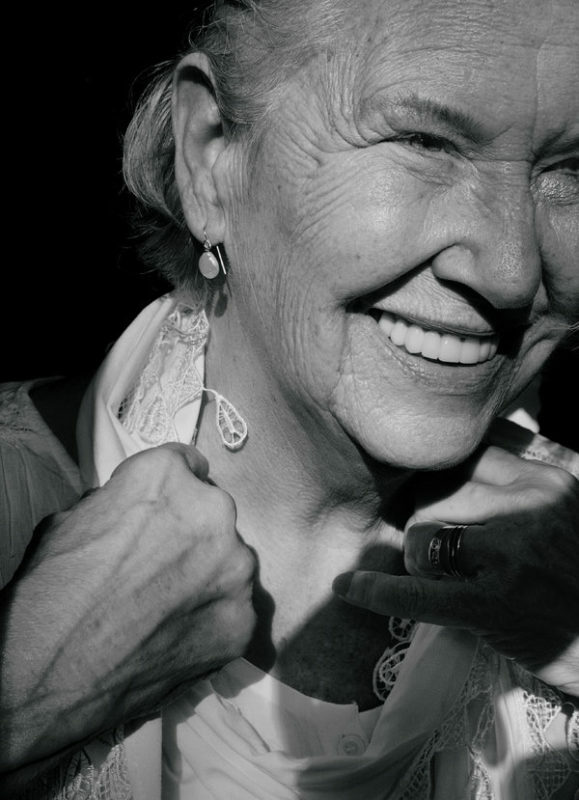 When Annie Dillard is on top of her game, she is herself a messenger of the sublime. Her game is the field research into the apparently mindless clockwork that is nature, in which everything and everyone is but a small cog in an organic machine as large as the cosmos. No wonder an early critic of her work called her “one of the foremost horror writers of the 20th century.” But then, she only describes what she sees. It is God who came up with the plot. 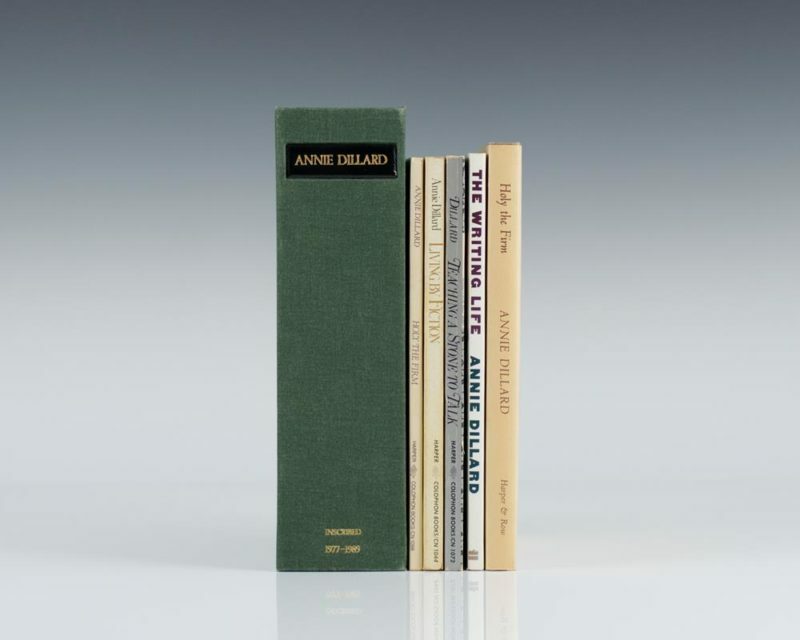 Annie Dillard’s third book (her first publication, in 1974, had been a collection of poetry, Tickets for a Prayer Wheel) was written not by a creek but between the expanse of the Puget Sound and the high rising Rockies. As the surrounding landscape became more majestic, her writing became more refined and sparse. Holy the Firm, published in 1977, consists of only 66 rather short pages, but it took her 14 months to complete – full-time. 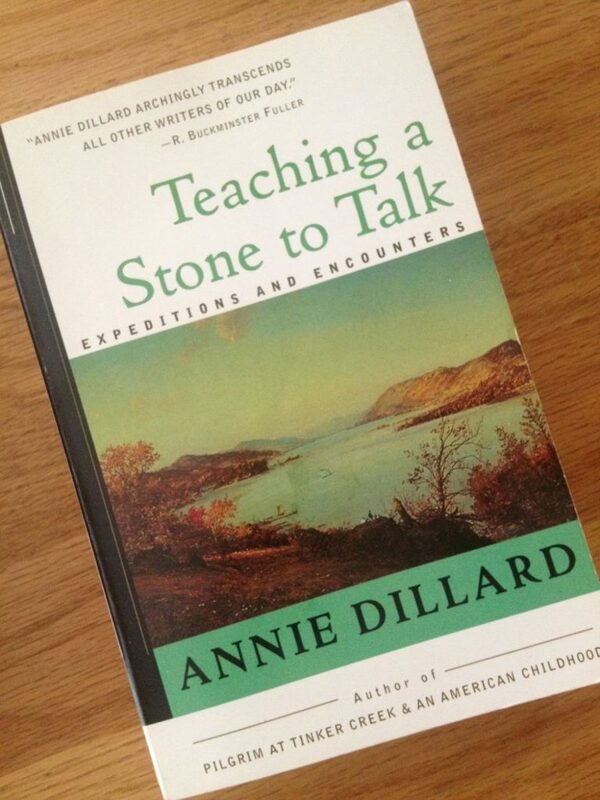 With a diamond mind like Annie Dillard’s, inspiration seems ever-present. But as it turns out, she is also a craftswoman with close connections to the academic world; she was married to a professor, R. H. W. Dillard, who was eight years her senior and whose name she kept. She also must have kept close contact to earth-bound editors and critics throughout her career, even as she had both eyes turned towards the perennial. And about the ideal working place: “One wants a room with no view, so imagination can meet memory in the dark.” One may add: And so the moth’s head can burn brightly through the night. As these scribbles take shape, a news story makes its rounds among the network outlets of the media world about a young man, named Sam, who was attacked by an army of minuscule sea lice at the sandy shore of Australia. The meat-loving critters’ bites were tiny and the water cold, so he didn’t notice his feet were bleeding so profusely that he had to be taken to the hospital. The appetite that this small species of crab is showing is completely new to marine science. Now, that is a story that surely would attract the attention of one Annie Dillard, if it hasn’t already. Not that the world is waiting for The Revenge of the Amazing Live Sea-Monkeys, but the idea of usually family-friendly, crustaceans (“eager-to-please” as the advertisement went) turning into a cloud of voracious carnivores would have her on her toes for sure, but then again: Does Annie Dillard care at all about current events? Seeing and reporting the machinations of the natural world (of which we are part of, even if we think we are not, with our Netflix accounts, downtown offices, frequent flyer miles and takeaway meals) can have an air of bluntness, even cruelness about it – a cold matter-of-fact tone and hard-boiled outlook on existence that some writers have integrated into their persona and into their oeuvre: Hemingway employed it to its professional use since he learned to be an impassionate, manly reporter and eventually succumbed to it because he was a passionate, soft man at heart. Burroughs enjoyed it because it was anti-bourgeois, but mainly because it matched the temperature of his chilled bloodstream. Agatha Christie was ostentatious in not giving in into sentimentalism about human nature, neither was Virginia Woolf. Nabokov operated with it and exhibited his characters like a satin-upholstered Aurelian board of prepared butterflies. Dillard, as a nature writer, has this impassioned regard as well, but she is startled by it herself (read for example her short story The Deer at Providencia), just like she is startled by the weirdnesses of the wildernesses in which she wanders and wonders, and often she conveys her troubling observations in confidential complicity to us. Just as if she wanted to fathom the disgust it might invoke in the reader. Then she retreats into her prolific soliloquy of slightly autistic splendour that is hardly ever shared by another character in her books: there is almost no dialogue in Annie Dillard’s work at all. Reading Annie Dillard, one does get the impression that she indeed just fell out of the blue sky. She describes herself as “friendly and pleasant, but easily distracted”. 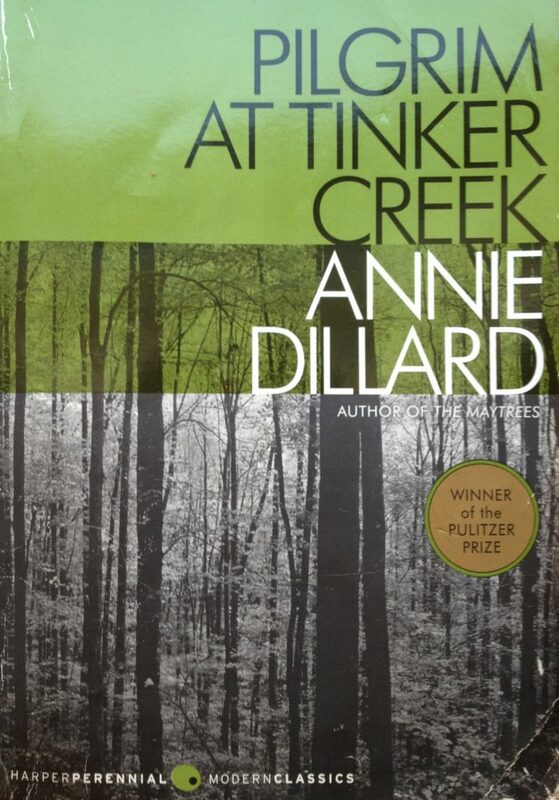 At times one wonders how she didn’t burn down her Tinker Creek cabin or how grown-ups would entrust their teenage daughter to her care (Aces and Eights), but then again: Maybe the real Annie Dillard is completely different from the floating vessel of perceptiveness that is her narrative self? I certainly do not know. According to the ever devilishly charming Geoff Dyer (the author and essayist, not the FT’s China correspondent), she is “pretty much a fruitcake”. Which, of course, makes her more colourful, more generous, sweeter and softer than if he had said that she was a nutcase. Global soul Pico Iyer, who had the chance to play ping pong with her, describes her as “flamingly vital, (…), unpredictable as a whirlwind” and “completely different from the person we meet on the page”. At a recent Awards ceremony, as she was honoured with a National Medal of the Arts and Humanities in September 2015, President Obama was visibly invigorated by her presence and after gallantly swirling her out of a little jig she was beginning to dance with him on the podium, held Dillard close to him so she would not fly out of a White House window. Neither do I always (e.g. “The weasel had two black eyes I didn’t see, any more than you see a window.”), but very often Annie Dillard hits on all six and gets her point across as sharply as the very beaks and claws of nature she describes and her sentiments are defined so sprucely that the quality of these, often gleefully dark, observations and epiphanies are akin to what Zen monks call a Sartori – a flash of subconscious recognition. 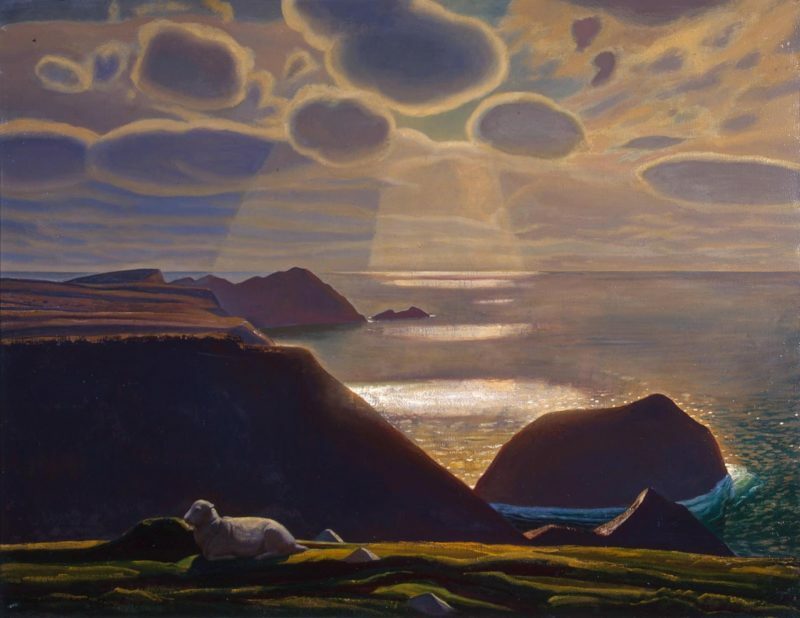 At times her literary sketches and watercolours of the soul (she doesn’t do oil though) remind me of the glowing, airily composed paintings of another American naturalist with an enkindled eye, the landscape artist Rockwell Kent, with his wide and frozen Patagonian spaces, his portraits of grumpy Inuits, his painting of a woman immersed in the privacy of a book with the immense plain of ocean right behind her. Or his perfect rock shapes under a starry galaxy, working in ways eternally mysterious to us, while we can only marvel at its beauty – until rigor mortis sets in or murderous scampi come to fetch us.